As soon as I arrived in Venice, I was once again struck by the stunning beauty of this city, its history and architecture. The easiest way to get around the city is to take the vaporetto and to walk. Make sure you get some comfy shoes on. 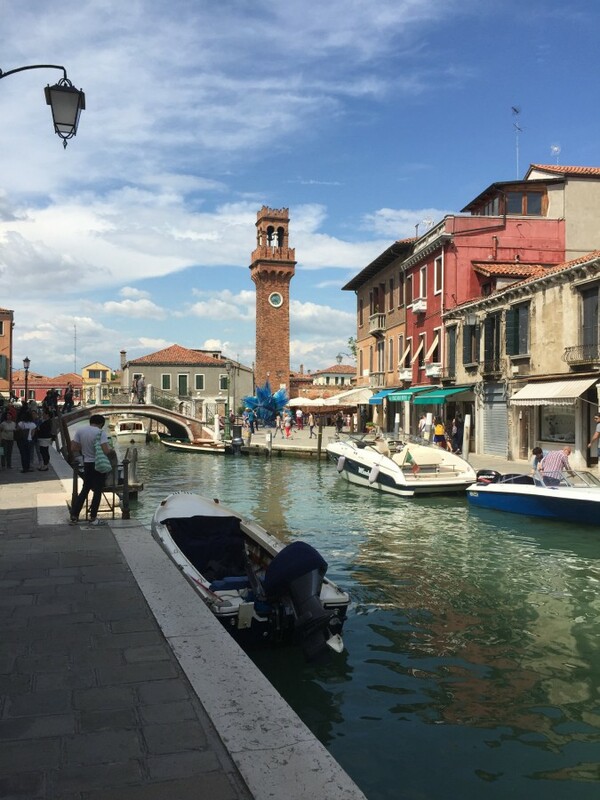 As for the vaporetto, if you plan on exploring the neighbouring islands such as Murano or Burano, or if you want to visit touristy spots such as San Marco, make sure you leave early if you want to avoid the crowds. 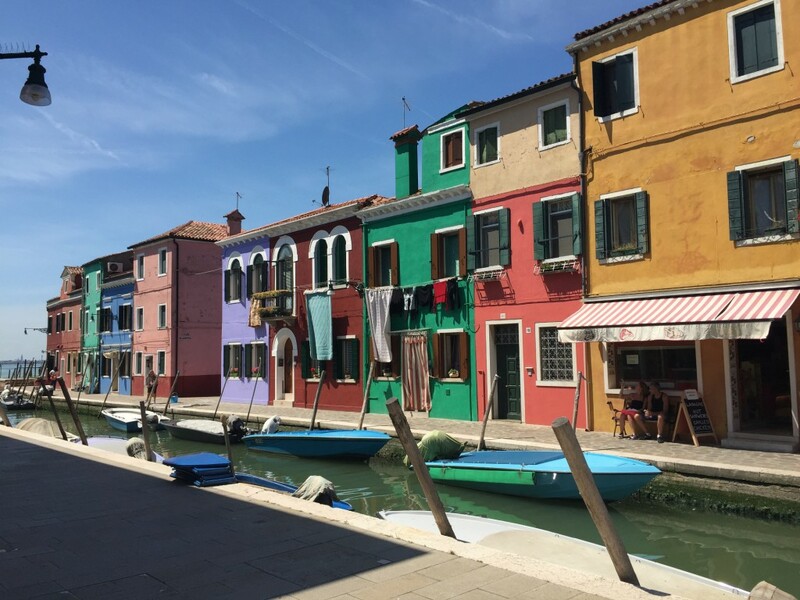 while reaching the colourful Burano will take almost an hour. Torcello is also worth a visit if you are looking into a less touristy and wilder side of the islands. 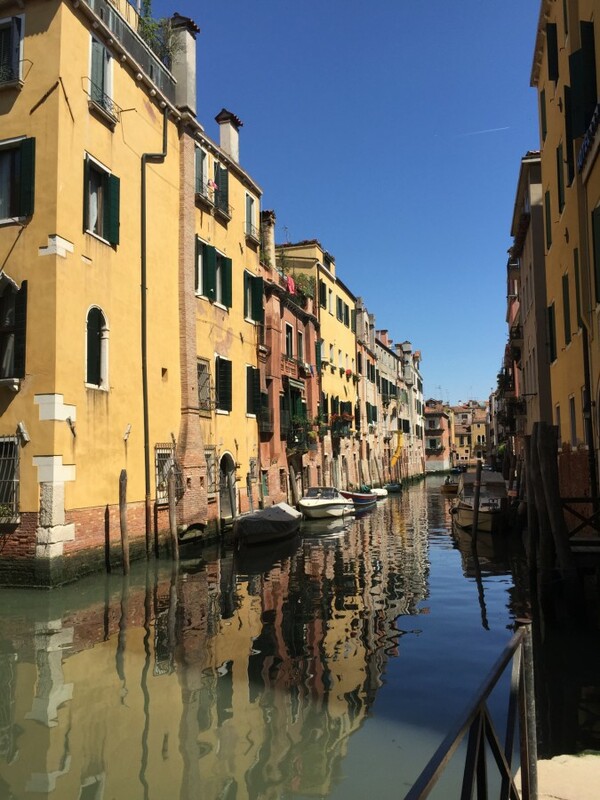 Once you have explored the touristy spots, I would recommend to walk off the beaten tracks and head to Cannaregio or Dorsoduro, where you will get closer to the Venetian way of life. 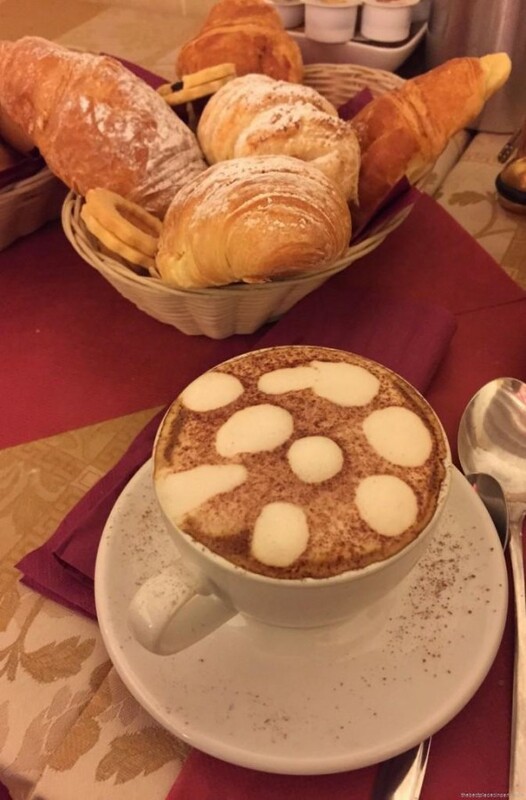 The best way to start the day is to try one of those delicious cappuccinos and creamy croissants. If you are lucky, your hotel might serve a good one. If not, you can still try one of the local cafés. One ritual you might like is the traditional aperitivo, starting from 6pm or so, many locals gather along the Canal in Cannaregio or on the Campo Santa Margherita in Dorsoduro. They order a glass of prosecco, spritz or the ombra and enjoy the various savoury ciccheti, the local equivalent of the Spanish tapas. If you are lucky, you might, like us, find out a quiet courtyard hidden along the canal and rest there for a couple of hours, sitting on the grass and listening to the birds. So relaxing ! If you are into arts, but don’t feel like waiting in queue for the famous “Doge palace”, you can also explore one of the “Scuola” such as the Scuola dei Carmini in Dorsoduro. As for food, there is so much choice but please try to avoid the tourist traps. 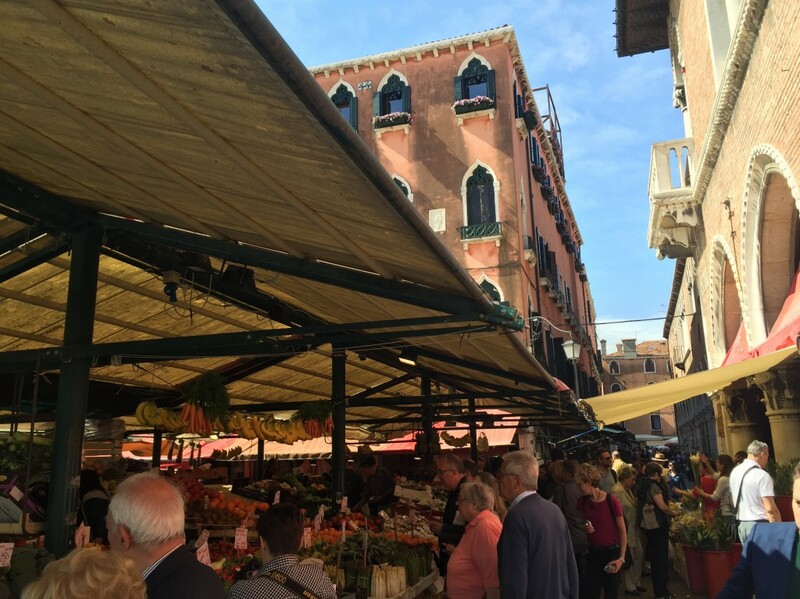 One of the best local spots in Cannaregio is Anice Stellato, where they serve only local and seasonal products, such as a tasty seabass and asparagus and a delicious zabaione. 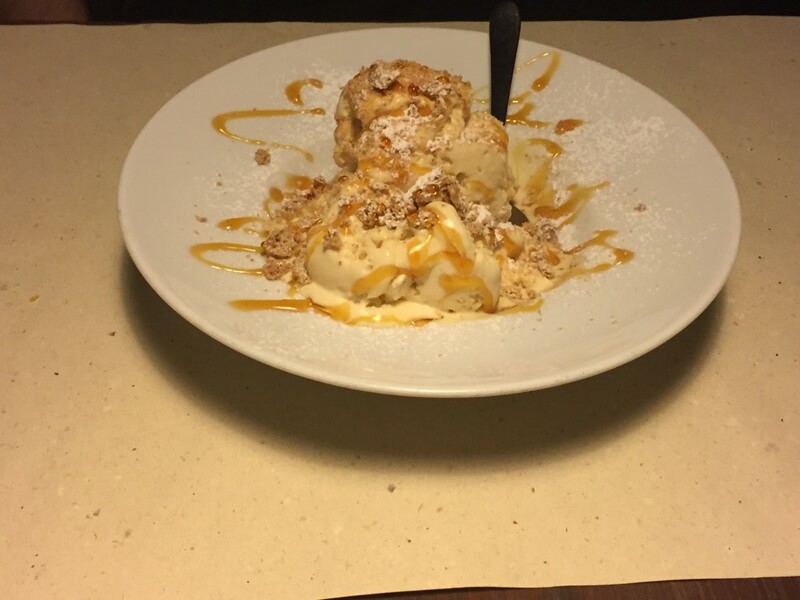 Make sure you book a table in advance if you are planning to dine there over the weekend. 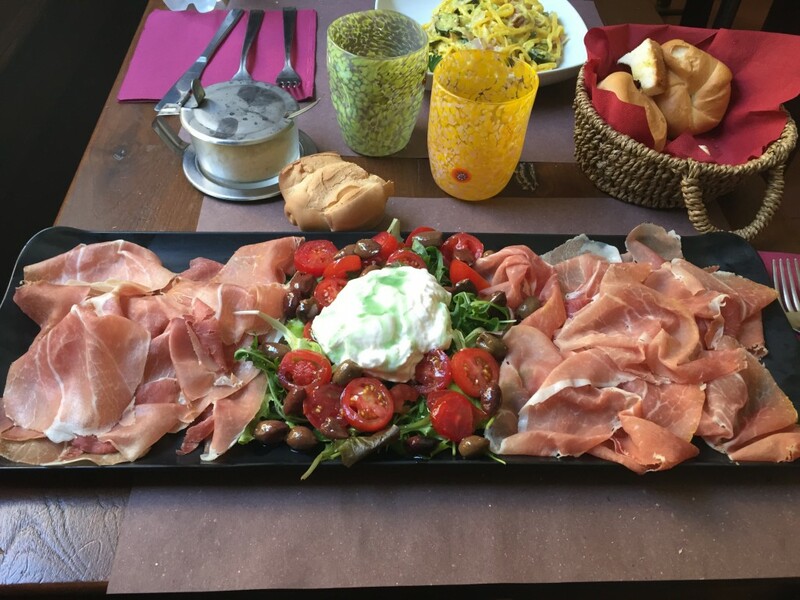 There are also plenty of delicious options for lunch, whether you feel like shopping at the local Rialto market or stop by Pane e Vino San Daniele in Dorsoduro for some yummy taglialoni with pancetta and zucchini.